It has become popular recently in certain circles to foment doubts as to whether the so-called Dennis Canon was actually adopted by General Convention in 1979. Matt Kennedy, in ¶15 of his affidavit filed in Diocese of Central New York vs. Good Shepherd, claimed that White & Dykman (the Annotated Constitution and Canons of the Episcopal Church) notes a “defect in the adoption” of the canon on page 296. This is inaccurate. The authors note that the adoption of the canon does not appear in the “Concurrent Actions” section of the 1979 Journal of General Convention. They express no doubt about the adoption of the canon itself. There remains some confusion, nonetheless, and I would like to clarify a number of things, and will take them point by point. First of all the “Dennis Canon” actually involves two canons. Resolution D-24 of the 1979 General Convention amended Canon I.6 to render explicit the implicit trust relationship under which the church had functioned since its foundation, whereby parishes hold property in trust for the diocese and general church. The same resolution also amended Canon II.7 to specify the types of churches (that is, whether parish or mission) to which Canon I.6 would apply. Second, and perhaps most importantly, the canonical amendment was not controversial at the time of its adoption. It was proposed in response to a suggestion from the US Supreme Court in Jones v. Wolf that a general church could clarify an explicit binding trust relationship concerning church property either by having all churches change the titles and deeds to express it, or by making a change to the governing documents of the general church. The Dennis Canon was a direct response to this suggestion, and it had wide support. The record in the Journal shows none of the usual marks of controversy: no roll call vote was required in the House of Bishops, nor a vote by orders in the House of Deputies. The only amendment to the original proposal, made in the House of Bishops, was to hasten the effective date of the resolution; this amendment was adopted easily. On the contrary, the Journal shows that the House of Bishops approved the changes to the canons, amended to add the change in effective date, on the Fifth Day of the session. This appears in the Journal on pages B-60 and 61. The House of Bishops communicated this action to the House of Deputies in HB Messages #75 (the amendment to Canon II.7) and #76 (the amendments to Canon I.6 with the change in effective date). On the Tenth Day, the Journal shows (page D-154) that the House of Deputies received and concurred with these messages. The Journal does not show the message number for the communication of their concurrence to the House of Bishops, but the Eleventh Day minutes of that House (Journal page B-144) indicate receipt of HD Message #204 informing the Bishops that the Deputies had concurred with HB Messages #75 and #76 on Resolution D-24 — Amend Canon I.6 and Canon II.7. George Conger, in a search of the Archives of the Episcopal Church, stated in ¶17 his affidavit in DCNY vs. Good Shepherd, that he found independent corroboration for the existence of HD Message #204 (though not a copy of the message itself) on page nine of a print shop order summary showing that “resolution D-24 as amended was adopted by the House of Deputies, and message 204 memorializing this action was sent to the House of Bishops.” While bemoaning the state of the archival records for this entire convention (and they are, frankly, appalling), and the paucity of back-up material, he does report that he found documentary evidence of the adoption of the resolution in the House of Bishops. So there appears to be no reason to doubt that the Resolution was adopted and concurred. It was so reported in the actions of each House in the published edition of the Journal of the General Convention 1979, in the next printed edition of the Constitution and Canons as amended, in the 1982 revision of the Annotated Constitution and Canons, and all subsequent editions of the Constitution and Canons as amended in subsequent sessions of General Convention ever since. Still, a listing of the adoption of Resolution D-24 is missing from the 1979 Journal in its “Concurrent Actions” section — exactly the omission to which White and Dykman referred. But what is this “Concurrent Actions” section? Because of the way resolutions are adopted in the General Convention — acted upon first in one House, and if approved passed through a legislative committee to the other for concurrence — the minutes of the meetings of the separate Houses form a complicated web of cross references, as can be seen in the account above showing the back-and-forth trail of evidence of action, reaction, and communication. Over the years different editors have developed various ways to make the final results of the Convention — most especially the actions adopted — convenient to find. At the 1979 Convention this was done by repeating the minutes germane to any given resolution in each House in a separate section of the Journal arranged by topic. 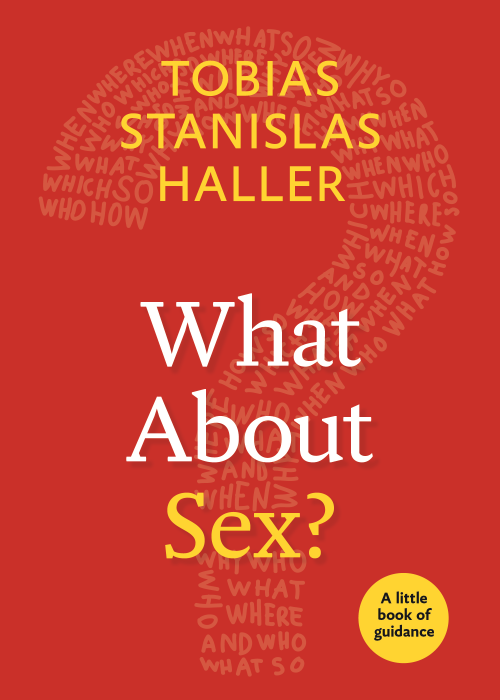 This was, in theory, a convenient way to find all of the resolutions concerning social issues or liturgy, for example, neatly gathered together. Obviously this is a very repetitive way of working, duplicating material that already appears elsewhere in an already cumbersome volume, and other more efficient summary mechanisms have been adopted since. It is also an invitation to additional editorial error, and this is precisely what appears to have happened in the case of Resolution D-24, which was certainly concurred, but doesn’t appear in the section of concurrences. I have a theory to offer for the reasons for this omission. As an editor, in particular a past editor of the Journal of General Convention itself in 1991, assisting the late Charles Scott in that task — I have a grasp of the way an editor of this particular volume is forced to think, and the complexities with which one must wrestle. One question that arises, when producing the summary of concurrent actions, whatever form it takes, is the order in which resolutions will be reported, and to what categories they will be assigned. While the 1979 editor chose to list many canonical changes under the heading “Canons,” there is also a note that some canonical changes are listed elsewhere under more relevant topics which the particular canons address. An additional problem was created in that Canon II.7, amended in part by resolution D-24, was also subject to another resolution that added a new first section to the same canon. This, which also dealt with church property, was classified not under “Canons” but under “Structure” — and I really am not sure why, unless that was the legislative committee that first dealt with that part of the canon. It appears to me that the original intent was to include the canonical changes in D-24 in this same section — indeed the page reference at the concurrence points to this very place — but that in the paper shuffling necessarily involved in such an editorial operation, the collated text from the minutes of each house did not make it into its final position. Thus, there is no question about the actual adoption of the resolution — the minutes in the Journal in each House make that clear — and all the “Concurred Actions” section would have shown is the same text drawn together under a single heading. This omission is confusing, but it in no way affects the validity of the adoption of the amendments to the Canons. It is purely an editorial error concerning an altogether supplementary portion of the Journal of General Convention. In December 2007, the Church of England responded to the Draft Covenant for the Anglican Communion by noting that as it presently stood, England would not be able to sign on, due to the legal difficulties involved in ceding directive authority to any body (or anybody) outside of the Church of England. One would have thought this clear on the basis of Article XXXVII of the Articles of Religion. Similar principles, of course, are to be found in the governing documents of the other autonomous provinces of the Communion. And that is, after all, what autonomous means -- self-governing; that is, just to spell it out, not governed by someone else. It appears from the recent draft of a report to the upcoming General Synod that the second draft of the Covenant (St Andrew's) has been attenuated to such an extent that in the eyes of the committee this difficulty no longer presents itself. Whether the Synod as a whole will agree remains to be seen. At this point the motion is to "take note" rather than to act; a wise move given that the final draft is yet to come. Meanwhile, the report raises a number of questions concerning the present St. Andrew's draft. Perhaps the most interesting is in paragraph 52, where the role of the Archbishop of Canterbury (as Primate of All England) runs into the possible practical difficulty that might arise should England itself not be part of the Covenant, either by not signing on or choosing to stand apart at some later time. Of greater interest to an American reader, given past suggestions that individual dioceses (with "Windsor Bishops") might sign on to the covenant even if their province or national church didn't, is the answer given for the Church of England in paragraph 53-54. 53. An issue that was raised in the Church of England response to the Nassau draft of the Anglican Covenant and that still merits discussion is the issue of the proper understanding of what is meant by the local church. Are the churches of the Anglican Communion, properly so called, the thirty eight national bodies that belong to the Communion or are they the dioceses of the Communion gathered round their diocesan bishops? So it seems clear that whatever being a "unit of the church" means, English dioceses, at least, do not have the power unilaterally to ally in a Covenant that defines who is in communion with whom; though they do have a role (unlike the dioceses of The Episcopal Church) in approving the final effect of any such agreement for the whole church. As far as being in communion goes, the same is true for The Episcopal Church. The question of who is in communion with it is decided only at the national (provincial) level -- it is a part of our Canon Law. (Canon I.20) So it appears that no individual diocese will be able to sign on to the Anglican Covenant -- or choose not to be part of it -- in opposition to whatever General Convention decides. In this sense TEC is more hierarchical than the C of E, in that General Convention does not have to go back to the dioceses for approval of its actions. Are there any remaining teeth in the Covenant as it now stands? Certainly I think so, and have noted some of them earlier -- and most of the sting is in the tail, the appendix. If the General Synod's response can help lead to the extraction of the last remaining fangs from the Anglican Covenant, and the new Draft takes a form worthy of a church document, it may well be that most of the present Anglican Communion will be able to sign on. We would do well to remember the words of Paul to the Galatians: "If you bite and devour one another, take care that you are not consumed by one another." Unity need not require mutual digestion. so very far, to go. Those who always think God is on their side have a ready explanation for whatever happens to them. When things go badly, God is testing them; when things go well for them, God is crowning their success. This belief has a venerable history; but it does seem to rob the believers of joy in their own accomplishments, and relieve them of responsibility for their own failures. Fifty years ago, I was accepted as a postulant for Holy Orders. When I was ordained, our vows were referred to as “Sacred Vows” committing ourselves to a calling, a vocation and not just a job. The Vows were so significant that after we recited them, the service was stopped, while we went and signed a printed copy of the vows. I pasted my copy in my prayer book hymnal. I made those vows at ordination to the Diaconate and again at my ordination to the Priesthood. I was ordained by Bishops of a Diocese but for the Episcopal Church. 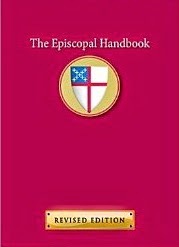 In later years, when I was required to establish my identity by various secular authorities, I gave the page and edition number of the Episcopal Church Annual. My authority, my “license,” my legal standing as a priest, came from the Episcopal Church. When I moved to a Diocese, the first credential was to be in good standing as a Priest in the Episcopal Church. The Episcopal Church welcomed me as a steward, not an owner, but a steward of ministry resources. When I was called to a parish, I was given the use of Church buildings and grounds; vestments, chalices and other altar appointments; organs, pianos, office equipment; funds for mission & ministry, endowments and designated funds for scholarships and outreach. I was responsible for working with the congregation to maintain all of the above and (see parable of the Talents) to enhance and grow those resources to the best of our ability. When it was time to leave, I turned all of the above over to my successor. I was told from day one, you are a steward not an owner and the Episcopal Church is trusting you with these resources because of your ordination to the priesthood and license within the Episcopal Church. Bishops have a third set of vows. 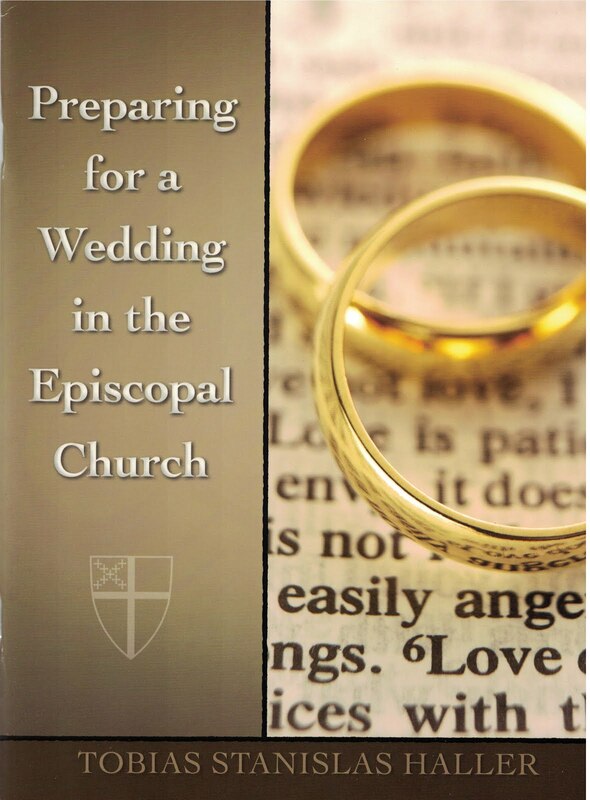 They are approved by the whole Episcopal Church before they may be ordained and consecrated to the Episcopate. The Diocese elects and the Episcopal Church, through a vote of Bishops holding jurisdiction over Dioceses and a majority of Diocesan Standing Committees, consents and affirms the election. When the consents are required within three months of General Convention, the House of Deputies of General Convention acts in the role of the Standing Committees. Once Consecrated, the Bishops receive the use of the resources of a Diocese as stewards not owners. When they leave, they are to turn it all over to the succeeding Bishop. There have always been times when a Deacon, Priest or Bishop, as a matter of conscience, deems it impossible to continue in the Church which has empowered them. There are appropriate ways to declare such. Two Bishops I greatly respect, John Lipscomb formerly Bishop of Southwest Florida and Jeffrey Steenson of Rio Grande (New Mexico and part of West Texas) each have been received into the Roman Catholic Church. As Paul reminds us in Romans, we are to outdo one another in honor. These men took honor seriously. Some are arguing that the property belongs to the current members of a Church or Institution. That requires forgetting the great contributions of the hundreds and thousands of Saints who have preceded them in those places. Trinity Cathedral is the mother Church of the Diocese of Pittsburgh and has served Western Pennsylvania for 25 decades. I had the privilege of being responsible for Trinity for two of those decades. Bp. Duncan was responsible for one. Does that mean I am twice as worthy to “own” the Cathedral? That is absolute nonsense. Someone wrote that since the Episcopal Church has a polity of participatory democracy that the majority of current members has the right to property. ... I love our polity. While I am quick to point out its flaws, I have found it to be more helpful for me in ministry and mission for Jesus than other polities. But simply stated, we in Pittsburgh watched as the checks and balances of our polity were dismantled over the last eight years or so. At the end, we were not even permitted to have a roll call vote at Convention. I did not speak at our Convention to the issues of controversy during my six years as President of the House of Deputies, since I would have to preside over them. In November of 2006, in the two minutes I was allotted (and then only if you were near enough to the front of the line to be called on before debate was ended) I decried the fact that as someone who had served the mother parish of the Diocese for more than twenty years; as someone who had an unusual, if not unique, view of the entire Episcopal Church, that I was allowed only 120 seconds to speak to the most difficult and complex question the Diocese of Pittsburgh had faced since its founding following the war between the states. I do not question the sincerity or commitment to Jesus of those with whom I may disagree. Like the late Bp. Herb Thomson said to the wardens and rector of a parish which chose to leave the Episcopal Church, “How may we help you board another ship in the fleet of Christ?” For fifty years, I have never once considered claiming ownership of property and resources entrusted to me and my colleagues. I was surprised, even shocked, when a Pittsburgh priest started talking about this twenty or more years ago. I think, like Bp. Thompson, we may work to find ways to make this painful period gracious and to give the Body of Christ in our areas the best opportunities to do ministry in Christ’s name. I still believe my vows are sacred. I still thank God for the sacred trust given me by the Episcopal Church. How blessed I have been. 31st President of the House of Deputies. In baptism, God’s Spirit descends upon us and makes us heirs through faith — our own faith if we are old enough to possess it, and the faith of our parents and godparents if we are not yet old enough to possess a faith of our own. This wonderful gift is always new in each person, but it is also always a hand-me-down, it is a gift that is given through others, though it comes from God, given and received. Much as a new tree can only grow from a seed from an old tree, the new life in Christ through baptism always comes through those who are already baptized — the members of the church, which is the body of Christ at work in the world. This new life is a gift that is always given through those who have received it before. And it becomes ours — a part of ourselves, a part of who we are as children of God who have a personal relationship with God, whom we can now call “our Father in heaven.” The love of God for each and all of us begins and grows in that special and holy relationship. Read or listen to it all, if you wish. There is an old saying about the Roman Catholic Church that with them "everything is forbidden until it becomes mandatory." Reflecting on the developments in moral theology in the Anglican — and Roman, and Jewish for that matter — traditions, it seems to me that the morality of any given act or behavior falls on a spectrum, and sometimes moves through it over time, sometimes one way and sometimes another. Those who argue that morality is necessarily as fixed as the laws of the Medes and Persians are mistaken. And that is not only true in Anglicanism, but in many different traditions and, indeed, faiths. Panta rhei, as the old philosopher Heraclitus put it. "Things change" — and that includes how we regard human behavior. If you have any doubt, check the ancient canons on clergy conduct, and tabulate the number of things that could have gotten you defrocked in the fifth century that wouldn't raise an eyebrow today. Is there, in all this, a core morality that doesn't change? I think there is, and Jesus enunciated it, not as a "moral thing" in itself, but rather as a means by which to determine morality, as a way to judge one's own actions — judging others having been reserved to another authority. He said that the whole of the law and the prophets hung on this basic principle — "Do to others as you would be done by." (Matthew 7:12) I think we can take his word on it. The California Supreme Court has issued a decision unanimously favorable to The Episcopal Church, on the question of who has the proper right to church property in the case of parishes whose members choose to abandon The Episcopal Church. In this, they support the well-argued Appeals Court decision of last year. Giving: When people give to the church, they give up control over what they have given. (A designated gift can, of course, allow for limited degree of control as to purpose.) However, most gifts are for the general operation of the church and its mission. Many people claim a tax deduction for such gifts; and if they were to attempt to recover them would incur a tax liability. It is an affront to the concept of stewardship to try to regain control over something you have given for the work of a larger entity. It would be very odd indeed if people could remove, say, a stained glass window, because they didn't like the new rector's preaching. We should not only not let our right hand know what our left hand is doing when we give open-handedly, but if we do know, forget it as soon as possible. Custodianship: custodians have the care of property but they do not own it. They maintain it for the benefit of others. (Remember what Archbishop Temple said about the nature of the church: the only institution dedicated to serve those not yet its members.) The present members of a parish do not own the parish; it isn’t about “them.” They are not free to do with it as they please. Even in the days of pew rent, people only “rented” their pews. Franchise: Parishes function as a part of and under the name of The Episcopal Church. While some may now see this to be a liability, for most of the life of these congregations it was an asset in that newcomers to the community could identify the parish as part of a larger entity, with its own identity. It is only through that larger entity that these parishes participate in the real-life Anglican Communion, as the Panel of Reference recently affirmed. Tenancy: a church is the people, not the building; but not always the same people — as members pass into the ranks of the church expectant new members are added to the church militant. All of us, in the long run, are only temporary members of any congregation; tenants, not owners. Usufruct: in a sense all congregations are like the Louisiana widow who has the right to continue to live in her intestate husband’s home, but doesn’t have the authority to sell it out from under the children, who inherit by right. (As I understand it, under Louisiana law a spouse is not an inheritor by right. That might seem odd, but it is similar to the situation in not-for-profit corporations which, when they dissolve, don’t divvy up the assets among the surviving members of the board, but turn the property over to another not-for-profit entity.) Moreover, the Louisiana widow loses usufruct over the property when she remarries, and the children come into their own inheritance. This seems a good analogy for the congregations who have hooked up with Uganda. There are still loyal Episcopalians who have the right to that property, and there will be more to come. The church is not only about the past but the future. Stare decisis, returning to where we came in: In a hierarchical church such as The Episcopal Church, all real parish property is, and always has been, held in trust for the work of that church. Some have suggested that this case may be overturned if it comes to the Supreme Court of the United States. I would suggest that should it reach that Court, it will most likely rule in favor of TEC, since the Dennis Canon was enacted at it’s recommendation, to render explicit what was already implicit (and universal practice until that point, and was also covered in the canons on alienation, which go back to the 19th century). It seems to me that the California Supreme Court takes my view of things, in general and in detail. 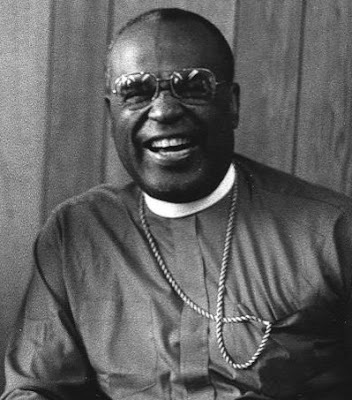 Update: for those who don't know, the photo is of Bishop Walter Dennis. Walter was an old friend and colleague, and was Visitor to the Brotherhood of Saint Gregory. I snapped this portrait of him at one of his Visits. He is the source of the eponymous "Dennis Canon." Somewhere a child is crying. that I may do my duty to my King. up to the age of two. the soldier behind me thought otherwise. Soldier. Is this soldiers’ work? Up to the age of two, he said. The King is a hard man. It’s no disloyalty to acknowledge it. You don’t build a kingdom being soft. He cuts a broad swath, our King. It’s quieter now the screaming’s over. Generalities are fine (when accurate) for making general decisions, but less helpful for making decisions on individual cases. One may assert, and it may be true, that "most people arrested for a crime are found guilty" -- but that is no reason simply to stop having trials and assume all persons arrested are guilty. When a generalization has many exceptions, it is proportionately less useful as a tool for discernment and action. As the old saw has it, "It is always wrong to make sweeping generalizations."